One of the most important lessons in any sci-fi story is that creating robotic replicas of dead loved ones is never good idea. Even in stories that don’t have any robots, this idea is always bubbling just under the surface as nearly every character constantly worries that someone else will try to resurrect their dead family members with robots. Unfortunately, mankind’s inherent sappiness means we’ll always be on the lookout for ways to bring dead people back to life, so people are just going to keep making replicants of their dead spouses or children and those replicants are going to keep flipping out and murdering people. 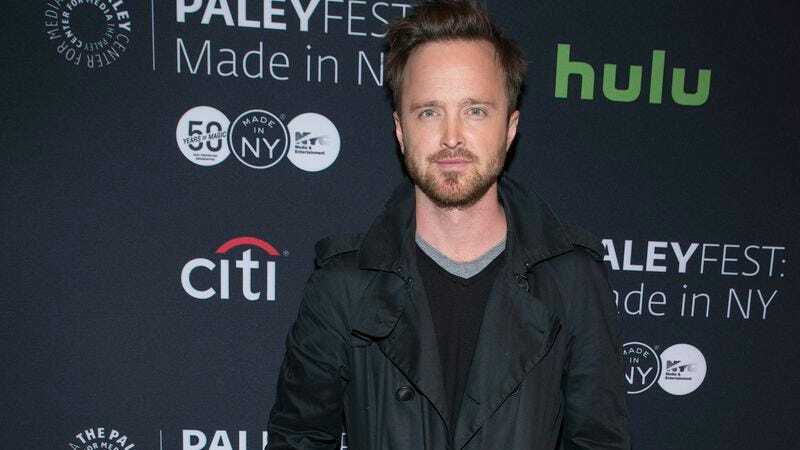 Aaron Paul is the latest unfortunate soul to fall into this trap, with Variety reporting that he’s set to star in director Niall Johnson’s Android as a lonely astronaut who decides to resurrect his dead wife and son as—wait for it—androids. Naturally, though, Paul eventually realizes his life is in danger and “a battle of wits and strength ensues” when the androids begin “demanding a life of their own.” The android wife will be played by Olga Kurylenko, but the android kid apparently hasn’t been cast yet. Maybe he could be played by an actual android kid? As long as he’s not a replica of a real kid, everything should be fine.